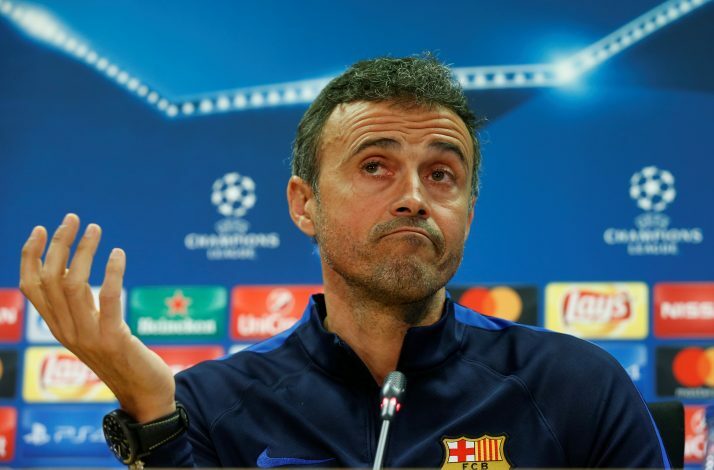 Barcelona manager Luis Enrique has revealed that he is doubtful about his future with the Spanish champions. Luis Enrique has opened up about his thoughts regarding whether or not to continue as a manager of Barcelona. He said that he is happy to be the manager of the best club in the world, but refused to give any assurance about his future with the La Liga champions. The 46-year-old manager, who will be out of contract at the end of the season, has had a brilliant career at Camp Nou, winning the La Liga and Copa del Rey double in two consecutive seasons. He also won the 2015 Champions League and Club World Cup with the Catalans. “I have no doubt that I’m at the best team, with the best club, with the best players, in my house and with my family, winning things and being very involved,” Luis Enrique told Barca TV. Barcelona are second in the La Liga table behind their rivals Real Madrid, with 34 points from 16 games. They will be travelling to Athletic Club for a Copa del Rey fixture on January 5th. In La Liga, they will hope to close the gap on Real when they face Villarreal on January 8th.